Oasis Sod Farms Transportation Information - Delivering top Quality Turf Grasses to Mississippi, Tennessee, Louisiana and surrounding areas. We offer a fleet of tractor trailer rigs providing dependable, prompt, and courteous service. Mechanical off-loading is available using some of the most modern equipment available. 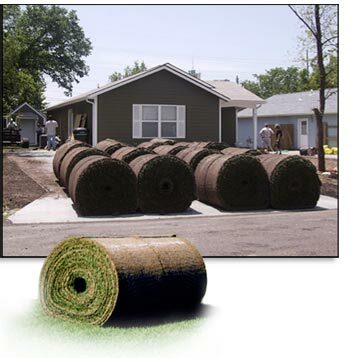 This service allows our customers the convenience of having their sod placed on the job site for easy handling and unloaded without them having the major expense of a forklift. We try to work with our customers and find out what their needs are, then provide quality and dependable transportation with reasonable rates.